The BVGrand is an elevated take on sporty lace-up sneakers. 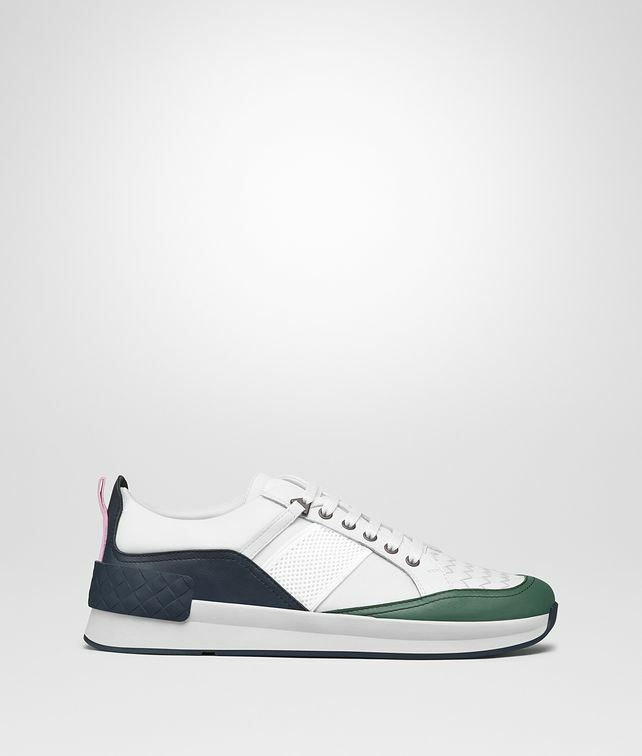 The shoe is crafted from smooth and hand-woven calf leather in a stylish color combination. The wide rubber sole is personalized with an intrecciato-embossed detail at the heel.